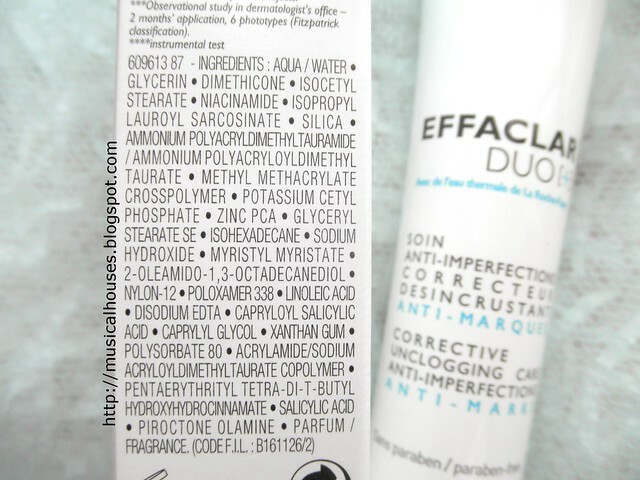 La Roche Posay's Effaclar Duo + is a new addition to their line of anti-blemish creams and products, and as with other La Roche Posay products, I was keen to try this out! You know I'm quite partial to European skincare brands, so I was all excited to see what this was about! La Roche Posay Effaclar Duo +: The latest addition to the the brand's anti-blemish range. This is advertised as an improvement over the original Effaclar Duo, as it contains "a patented ceramide" (marketed as Procerad' in the ad copies), in addition to the original active ingredients of the original Effaclar Duo. La Roche Posay's Effaclar Duo has gotten some pretty rave reviews online, so I couldn't wait to try it out for myself! And the first place I started off was with the ingredients list, because you know that's exactly how I roll. The ingredients list was quite interesting for an anti-blemish product. Unlike the original Effaclar Duo, which had Benzoyl Peroxide (one of those love-it-or-hate-it ingredients despite is usefulness in acne products), this one seems to have done away with Benzoyl Peroxide altogether, or other harsh acids, for that matter, although Salicylic Acid is there in low doses. La Roche Posay Effaclar Duo + Ingredients: Humectants, emollients, and anti-inflammatories. Instead you have Water, humectants (Glycerin), emollients, including some silicones (Dimethicone, Isocetyl Stearate, Isopropyl Lauroyl Sarcosinate). There's also Niacinamide, which is traditionally found more in anti-aging products, but is also in this product to reduce the appearance of acne scars and marks, and I'm quite happy to see that it is included here in fairly high amounts (5th on the ingredients list). Also present as active ingredients, but in much smaller amounts, is Capryloyl Salicylic Acid, a form of salicylic acid that has skin conditioning as well as exfoliating and anti-inflammatory properties. For some reason Capryloyl Salicylic Acid seems to be available mostly in other L'Oreal brands (although not exclusively), and appears in other L'Oreal product lines for blemished or imperfect skin, including the Vichy Normaderm range and the Kiehl's Microblur Skin Perfector. L'Oreal has done some research on Capryloyl Salicylic Acid demonstrating that its effectiveness at exfoliating skin to glycolic acid, another popular exfoliating ingredient, which could explain why L'Oreal is convinced enough by the ingredient to include it in multiple product lines. Other present-in-low-amounts active ingredients include Zinc PCA, which has some anti-aging function, but is probably present here for its oil-control properties. There's also Linoleic Acid, another useful anti-aging ingredient, but also serves as an anti-irritant due to its skin repairing properties. Lastly, the ingredients also contains other funcgtional ingredients such as film-formers (Methyl Methacrylate Crosspolymer), surfactants and emulsifiers to ensure the product doesn't get separated (Potassium Cetyl Phosphate, Glyceryl Stearate SE, Isohexadecane), and ingredients that stabilize the entire product (Ammonium Polyacryldimethyltauramide / Ammonium Polyacryloyldimethyl Taurate). La Roche Posay Effaclar Duo +: A light cream that blends easily into skin without a trace. My expectations of the Effaclar Duo + from the ingredients list was in line with my experience of the products. 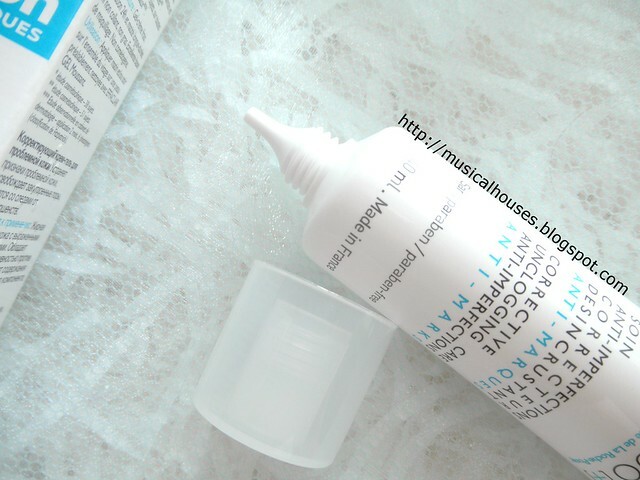 The product was itself a thin white cream that was easily applied on skin. As expected, the lack of harsh acids or ingredients meant that the product applied well without leaving my skin feeling dry. In fact, it actually felt fairly moisturizing on the skin, which I thought was interesting - while it's certainly in contrast to some other acne products I've used which are more drying. And although it didn't work any major miracles, it seemed to help my skin slowly over the few weeks I've been using it. It seemed to help reduce inflammation mostly, without irritating my skin, so overall, I was quite satisfied with the product, and I think it's an easy one to include in any daily routine. La Roche Posay Effaclar Duo +: It's formulation means that it reduces scars and inflammation, although those used to strong anti-bacterials may take some getting used to the formula. So, would I recommend this product? I think it's a pretty good and fairly unique blemish-fighting product, relying more heavily on Niacinamide than the usual BHAs as active ingredients (although to be fair, Capryloyl Salicylic Acid and Salicylic Acid are there too in lesser amounts). So I think this choice of active ingredients could swing the product for many people. For those who are looking for a reduction in scars and inflammation, or for a product that can gently exfoliate over time without drying out your skin, this would be worth looking into. But if you prefer to a product that has a stronger anti-bacterial effect (Benzoyl Peroxide, or an anti-biotic like Tetracycline, Clindamycin etc.) then you might find that this may not work as well. So I can kind of see why the Effaclar Duo + can be a hate-it-or-love-it affair. Still, I think this is worth trying - it is useful if you're dealing with blemished skin that is sensitive. The Bottom Line: The La Roche Posay Effaclar Duo + helps to reduce acne scars and inflammation without drying the skin out. I have tried this product and I liked it. It has removed my slight acne ( it was only beginning) quickly. I used this for I am impressed with its ingredients. Its def a must try for acne sufferers. I actually liked that they done away with Benzoyl Peroxide. Read some where that it darkens spots. This worked on my acne too. Great product! Would you suggest to use it on the whole face or just on the troubled area? 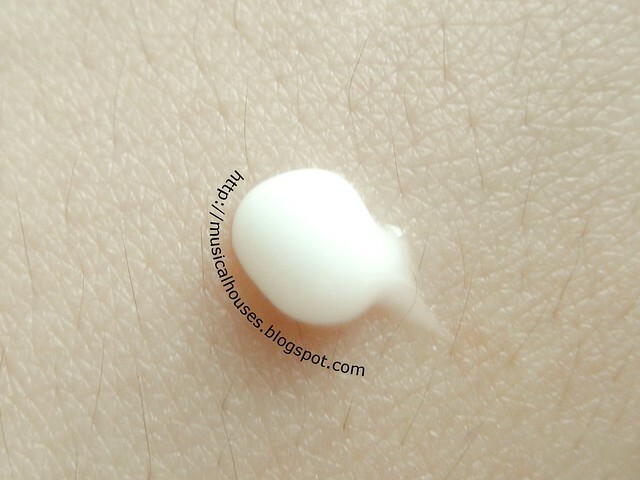 Do you still use moisturizer after this, and is it okay to use it on morning and evening? I've had this for a couple of weeks now, but I'm still not really sure about how to use it..
Hey thanks for your review! I was wondering if duo plus should be used as a spot treatment or should it be used all over the face? And which step of the daily skincare routine should it fall under? After toner and moisturiser? Or skip the moisturiser altogether? @[photo me shoot]: The product is basically a combination of spot treatment and moisturizer, having both some ingredients to treat blemishes as well as ingredients that you'd find in moisturizers. As such, I think you could go with whatever works for you - if it works better as a spot treatment, that's good, if you think this is sufficiently moisturizing for your entire skin, that's good too. You can certainly layer another moisturizer on top if your skin is on the dry side, but if not, then the product does function somewhat like a light moisturizer too. If you do use this with a separate moisturizer, then I would say the most appropriate order would be to tone your face, apply spot treatment, and then moisturizer. Hope this helps! I have moderate acne and scars...have tried a whole lot of things but it just doesn't budge... Would you recommend it? Giveaway: Win an Etude House Magic Any Cushion!